See whether Co-op made it into our list of the Top 10 Home Insurance Companies. Most people in the UK are familiar with The Co-op as a grocer and bank, but may not be aware that it also offers car, pet and home insurance. Its home policy offers comprehensive cover for buildings and contents. You can get a quote on the Co-op's website. Find out which companies came top in our guide to the 10 best home insurance companies. The Co-op allows you to take out separate buildings or contents cover, or to select a combined policy. Its buildings insurance covers up to £500,000 of rebuild costs as standard. Other standard policy benefits include accidental damage cover for cables, drains and pipes; up to £2m property owners’ liability cover; and protection for domestic outbuildings such as greenhouses, garages and sheds. Co-op customers can choose their maximum level of contents cover. Its contents policy includes new for old replacement – except for clothing and household linen, £2,000 theft cover from domestic outbuildings and up to £500 for visitors' personal belongings. For valuable items, policyholders can select one of four ‘high risk item’ limits, ranging from £6,000 to £15,000. The Co-op also offers landlord insurance. Find out more about the best landlord home insurers here. Learn more about The Co-op's home polcies on their website. How much does home insurance from Co-op cost? The Co-op says that between April 2017 and June 2017, 10% of new customers paid £78 or less a year for buildings only policies and £47 or less for contents policies; however, the exact price will depend on your policy and personal circumstances. For example, the cost will be affected by whether you go for a single policy or combined contents and buildings cover; the value of the contents you are covering; the specifics of your home (age, location etc. ); and any previous claims could also impact the quote. The Co-op offers a guaranteed 30% no claims discount given that you've made no claims and suffered no losses over the last 12 months. You can choose to raise your policy excess, which will make the overall premium price lower. Do bear in mind that you will have to pay this excess in the event of a claim, so set it at an affordable level. Get a Co-op home insurance quote for an accurate price. Get a tailored quote from The Co-op online. What do Co-op insurance customers say? On review website Reviews.co.uk, Co-op insurance scores an average of 3.75/5 stars from 272 reviews. What do experts say about Co-op home insurance? The Fairer Finance website ranks Co-op 27th out of 47 home insurance companies and gives it a bronze rating. 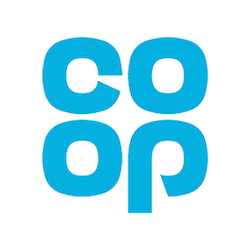 Independent financial researcher Defaqto has rated Co-op's home policies as 3 Star. "Absolutely brilliant company Can’t praise this company high enough. Lovely staff to talk to on the phone. Make everything so easy when ..."
Get a quote from The Co-op online. Find out which firm came top of our list of the best home insurance policies.